The WhatsApp Gold scam isn’t a new one, having done the rounds since 2016, but it’s on the rise again. And with it, a warning about the threat of a video called Martinelli. 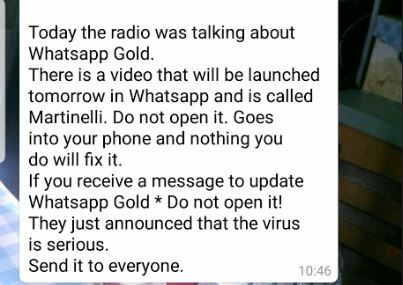 A warning message is circulating, alerting WhatsApp users to the existence of the WhatsApp Gold scam and a threatening video called Martinelli. Part of the message is true – there’s a scam message purporting to offer a WhatsApp Gold or Plus service, and it’s on the rise – but the other half is a hoax. Here we take a look at what the WhatsApp Gold scam is, and explain the Martinelli video hoax. We’ve also got advice on how to keep your mobile phone secure. Could you spot a scam message? Make sure you know how to spot a messaging scam by reading our guide. WhatsApp Gold scam – what is it? 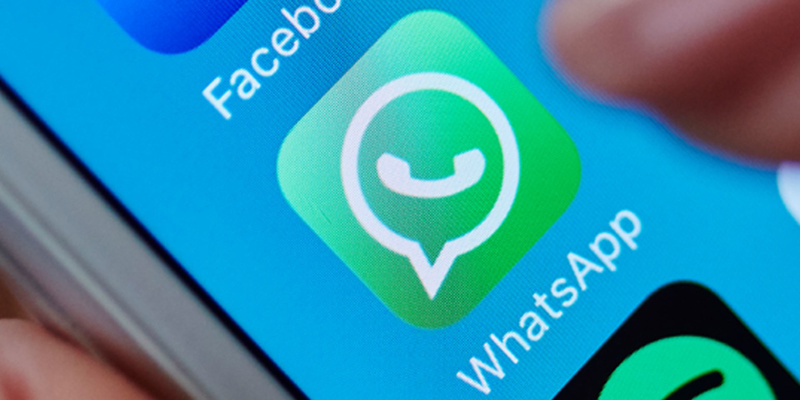 A WhatsApp message promises a hidden version of the messaging service, with special features that need to be unlocked by clicking a link. Previous versions of the message have come with promises of free flights and ‘exclusive’ access to enhanced features such as the ability to make video chats, send 100 images at once and delete messages hours after they have been sent. You are encouraged to sign up by clicking on a link in the message, but this actually takes you to a website riddled with malware that can steal your personal data. Any updates to WhatsApp will happen automatically through the app, so never click links or download apps that promise updates or extra features. There is a video that will be launched tomorrow in Whatsapp and it’s called Martinelli. Do not open it. Goes into your phone and nothing you do will fix it. There is no evidence that the Martinelli video exists. The first report of it was in 2017, but the video has never appeared. It’s unclear what the purpose of this part of the message is, but it’s possible that it’s to stop the true scam warning from being taken seriously. If you receive a message about the Martinelli video, don’t forward it. Instead, let the sender know that there is no risk and that it’s a hoax chain message. What should I do if I’ve received a WhatsApp Gold scam message? Whatever you do, don’t click the link. Delete the message immediately without replying or forwarding it. You can also report it to Action Fraud, the national fraud and crime reporting centre. For those who have received the warning but not the WhatsApp Gold scam message, you don’t need to forward this on. Instead, protect your phone by keeping your phone software updated and only use the App Store or Google Play to download apps. Do I need mobile antivirus software? 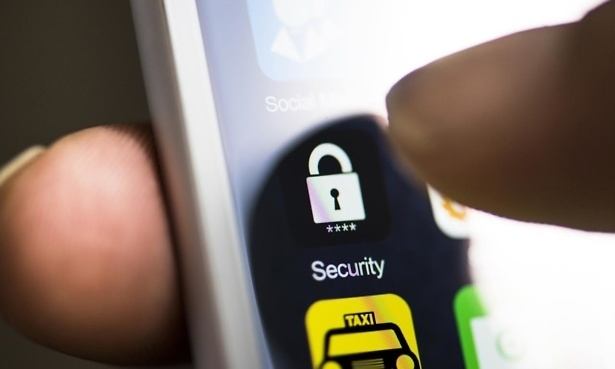 Your smartphone connects to the internet, putting it at risk of online threats and making it a potential goldmine for thieves or hackers. We recommend always keeping your mobile updated to the most recent software version, as this will include the latest security tweaks and fixes. Google Play Protect automatically scans all apps when you download them, but it doesn’t always pick up malware. Apple iOS doesn’t have built-in anti-malware functionality, although every app on App Store is vetted to make sure it’s safe. Even with the built-in security features from Google’s Android operating system and Apple iOS, no phone is impervious to malware. There are plenty of free mobile antivirus apps available, as well as a selection of paid-for options ranging from £5 to £50. If you’re thinking of installing mobile antivirus software on your phone, find out more about how to choose a mobile security app.